Decolonization helped to transform the United Nations membership, propelling the Organization’s growth from 51 original members to 193 today. Decolonization is one of the most significant chapters of the Organization’s history. But, this story is still being written, as 17 Non‑Self‑Governing Territories remain. Each deserves attention. 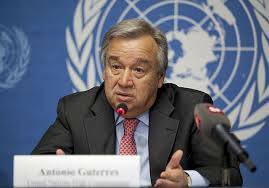 Each still waits to attain self-government, in accordance with Chapter [XI] of the United Nations Charter, the 1960 Declaration on the Granting of Independence to Colonial Countries and Peoples and relevant United Nations resolutions. In recent months, there has been notable movement on the question of New Caledonia. Last November, in a referendum, New Caledonians expressed their will on their future and on the status of the Territory. This was an important step forward in the decolonization process. The cooperation of France, the administering Power, throughout the referendum process, in accordance with the 1998 Nouméa Accord, was commendable. This Committee, for its part, assisted New Caledonia in the period leading up to the conduct of the referendum, dispatching two visiting missions to the Territory. To achieve decolonization, the voices of the peoples of the Territories should be heard, as it was the case [in New Caledonia]. The cooperation of all concerned, including the administering Powers, is likewise vital. It is also paramount that the peoples of the Non-Self-Governing Territories understand the options regarding their political status and the right to choose their future freely. I applaud the Special Committee’s tireless efforts to uphold its mandate and to support the peoples of the Non-Self-Governing Territories to achieve self‑government. I also commend the Special Committee for maintaining dialogue and productive cooperation with the administering Powers and all concerned. 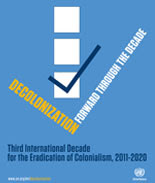 The United Nations decolonization successes across the decades can inspire us today. Let us uphold our duty to assist all the peoples of the Non‑Self‑Governing Territories in bringing their decolonization process to a successful conclusion, according to their choice. The Special Committee has accompanied many Territories in their journey since the beginning of the 1960s. As you begin working in the 2019 session, I wish you every success. The Secretariat will do all we can to support your very important work. New Zealand's diplomat to the United States, Ambassador H.E. 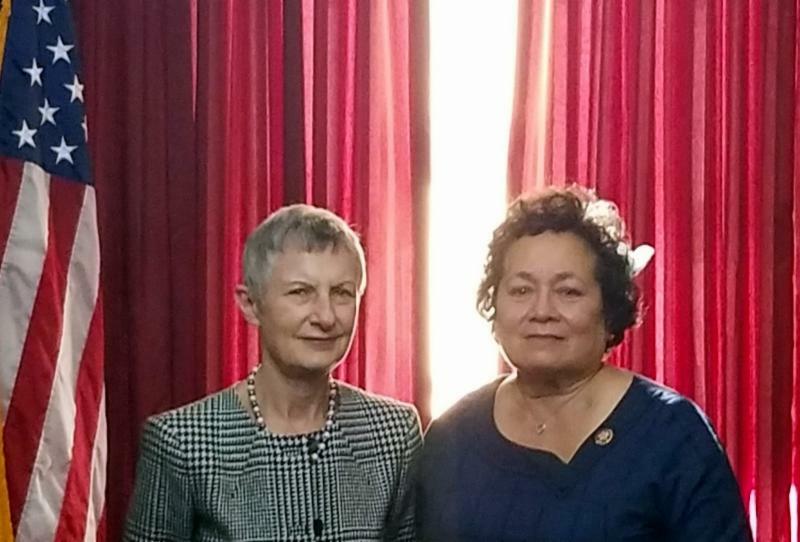 Rosemary Banks visited American Samoa’s congressional office recently for a discussion of the Pacific region at the start of the 116th Congress. It was a pleasure to welcome the Ambassador on behalf of my constituents in American Samoa. Both of us represent beautiful places in the Pacific! I appreciate Ambassador Banks’ experience and the insight she shared from her extensive service representing her country to the United Nations, France, Portugal and more. Our nations share a lasting friendship and many of the same priorities, including economic ties. The new Hawaiki cable is another direct link between the U.S., New Zealand and American Samoa. EUROPEAN COMMISSION INCLUDES 4 U.S. DEPENDENCIES ON LIST OF "WEAK ANTI-MONEY LAUNDERING / TERRORIST FINANCING REGIMES"
Věra Jourová, Commissioner for Justice, Consumers and Gender Equality said: “We have established the strongest anti-money laundering standards in the world, but we have to make sure that dirty money from other countries does not find its way to our financial system. Dirty money is the lifeblood of organised crime and terrorism. I invite the countries listed to remedy their deficiencies swiftly. The Commission stands ready to work closely with them to address these issues in our mutual interest. " ; they have economic relevance and strong economic ties with the EU. The fight against money laundering and terrorist financing is a priority for the Juncker Commission. The adoption of the Fourth – in force since June 2015- and the Fifth Anti-Money Laundering Directives – in force since 9 July 2018 - has considerably strengthened the EU regulatory framework. Following the entry into force of the Fourth Anti-Money Laundering Directive in 2015, the Commission published a first EU list of high-risk third countries based on the assessment of the Financial Action Task Force. The Fifth Anti-Money Laundering Directive broadened the criteria for the identification of high-risk third countries, including notably the availability of information on the beneficial owners of companies and legal arrangements. This will help better address risks stemming from the setting up of shell companies and opaque structures which may be used by criminals and terrorists to hide the real beneficiaries of a transaction (including for tax evasion purposes). The Commission developed its own methodology to identify high-risk countries, which relies on information from the Financial Action Task Force, complemented by its own expertise and other sources such as Europol. The result is a more ambitious approach for identifying countries with deficiencies posing risks to the EU financial system. The decision to list any previously unlisted country reflects the current assessment of the risks in accordance with the new methodology. It does not mean the situation has deteriorated since the list was last updated. The new list published today replaces the one currently in place since July 2018. "These major developments are contributing to re-establishing colonial regiments back in the Caribbean and these re-colonized territories are misused as this Venezuela case and crisis is unfolding to destabilize the region and vision towards a united and integrated Caribbean." - James Finies, Foundation We Want Bonaire Back. 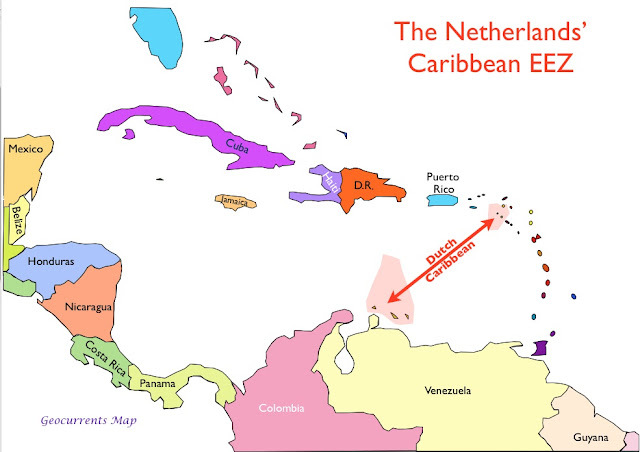 The more dense populated islands Aruba, Sint Maarten and Curacao, something what is not so obvious to outside world, they were all stripped from their autonomy and are back under Dutch control and rule. The Dutch which controls and decides on the budget (and judiciary) of the Curacao government, headed by the Secretary of State Mr. Knops, a ex-military and ex-lieutenant active in the Iraq war, forced the prime minister of Curacao, Mr Rhuggenaath which is subordinated to the Hague powers to escalation of the crisis. Curacao Prime Minister Rhugenaath publicly sided with the ultimatum for a new election causing a direct interference in the sovereign neighboring country Venezuela internal affairs. 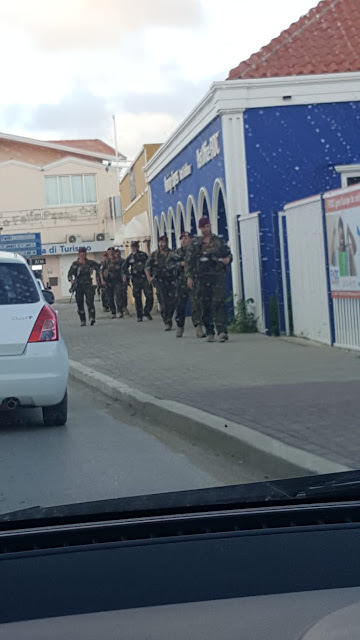 Curacao which as Aruba, the closest Caribbean islands to Venezuela, are equipped with a full US military forward base and with international harbors and airports of military standards are at the moment converted in the most strategic war-campaign-bases. War planes are already landing and troops are deployed from the Netherlands towards the ABC islands under guidance of Dutch brigade-general Peter Jan de Vin which was deployed to Curacao to overseer this military operation along with State Secretary Mr Knops. These major developments are contributing to re-establishing colonial regiments back in the Caribbean and these re-colonized territories are misused as this Venezuela case and crisis is unfolding to destabilize the region and vision towards a united and integrated Caribbean.